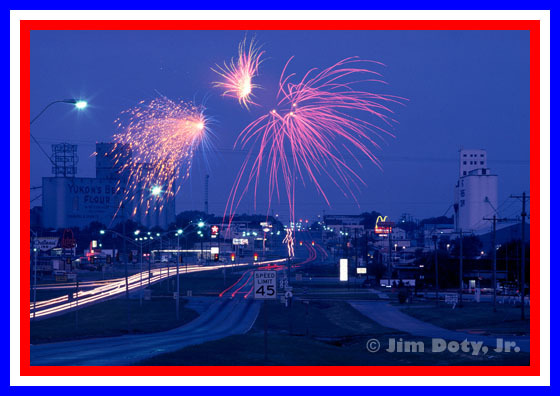 Fireworks over Yukon Oklahomaon old U.S. 66. Photo © Jim Doty, Jr.
From the Declaration of Independence, signed July 4, 1776. Written by Thomas Jefferson (1762-1826). 3rd US President (1801-09). 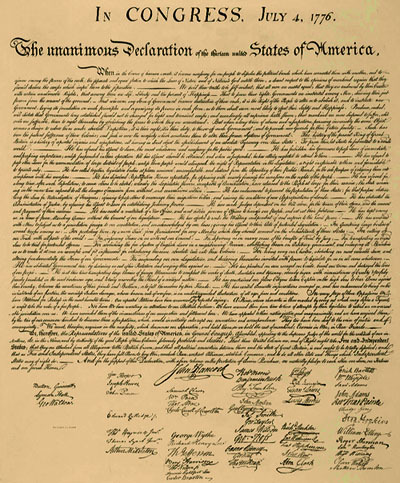 To see an engraving of the original and George Washington’s personal printed copy, go here.